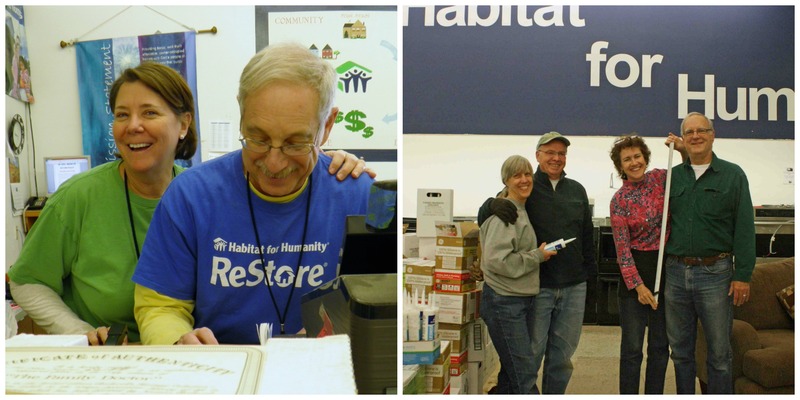 The ReStore offers a variety of volunteer opportunities for those 15 years and older. In addition to individuals willing to volunteer once or on a more regular basis, the ReStore can accommodate small groups and those in need of community service hours. The Caln ReStore is open Monday, Tuesday, Thursday, Friday and Saturday from 9AM to 6PM and Wednesday from 9AM to 7PM. The ReStore is always in need of those looking to volunteer on a regular or one-time basis. The Caln ReStore is open Monday to Saturday from 9AM to 6PM. Volunteers are not expected to stay the entire day, but are asked to stay for at least 3 hours. To sign up to volunteer, you should submit an application on our online volunteer system. After you are accepted, you will receive an email with further instructions on how to complete a brief online volunteer orientation. If you are interested in becoming a regular ReStore volunteer, please contact Latifa, at latifa@hfhcc.org or 610-384-7993, x15. The ReStore is a great opportunity for groups of up to ten people, especially those with volunteers that are too young for the construction site. Duties include rearranging furniture, light cleaning, and refreshing merchandise on the floor. The Caln ReStore is open Monday to Saturday from 9AM to 6PM. Groups are not required to stay for the entire day and we are willing to create a flexible schedule to meet your needs. To schedule your group, contact Latifa at latifa@hfhcc.org or 610-384-7993, x15. The ReStore welcomes individuals who are seeking at least nine (9) hours for community service. Anyone who is required to complete volunteer hours for any reason is considered a community service volunteer. If these hours are court-mandated, the offense must neither be a violent nor sexual crime, theft, or any other charge that staff deems could endanger volunteers or the integrity of Habitat for Humanity. To complete your community service hours with Habitat, you must first submit an online application and follow a subsequent orientation. When you have completed the application, you will receive an email with details on next steps. You will be notified of your acceptance or rejection in 3-5 business days, so those seeking a turnaround time of less should look to complete their community service hours elsewhere.